Sydney is the capital city of New South Wales and Australia’s largest city. Sydney is best known for its harbour front icon the Sydney Opera House, with its distinctive sail-like design. The visual view of the Sydney Harbour Bridge, the harbour, and the nearby Sydney Opera House is an iconic image of Sydney, and Australia. Other major attractions that attract millions of visitors each year is the spectacular coastal views and beaches. Bondi Beach is without a doubt one of the most iconic beaches in Australia . We have selected some of Sydney’s most must see locations for our luxurious day tours. These include some of Sydney’s most iconic attractions and some secret treasures. Select from a pre set itinerary showcasing our much loved city of Sydney and its most well known Sites, food, art, architecture, animals and culture. For more tour destination details click here. 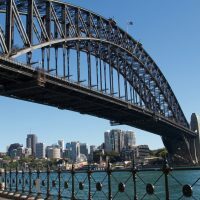 For those people with little time in Sydney but want to see it all, we have created a unique opportunity to see most of the beauty that Sydney offers. This is a special one-day tour where you get to see most of the major Sydney highlights from both sides of the Sydney Harbour as well as the East. Our tour will be visiting some of the exclusive suburbs, and beautiful parks and beaches that Sydney is well known for. During our Private Blue Mountains trip, you will visit Featherdale Wildlife Park which is home to one of Australia's most comprehensive collections of native wildlife. 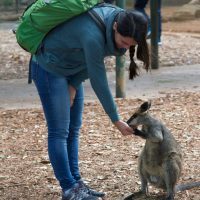 Have a personal encounter with a Koala and hand feed Kangaroos and Wallabies. Located in western Sydney, on our way to the famous Blue Mountains, Featherdale is Sydney's 'hands on' wildlife experience. 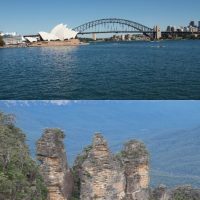 For those people with little time in Sydney but want to see it all, including the world heritage listed Blue Mountains, we have created a unique opportunity to see most of the beauty that Sydney offers and a whole day at The Blue Mountains. This is a special two-day tour where you get to see most of the major Sydney highlights from both sides of the Sydney Harbour as well as the East and during the second day, a date with some of the oldest rock formations in the world. lunch on both days is included. Why book the private Sydney tour with us? We love Sydney and we’re proud to show it off. Local tour guides with extensive local knowledge. Commentary throughout the day in either English or Spanish. Totally flexible Sydney tours, tailored to your desire. Fully licensed and insured for private tours. Visit locations that tour buses cannot get to. All meals are included including morning and afternoon tea. Free Wi-Fi and refreshments on board. Travel in a luxury climate controlled SUV for your comfort. Satisfaction guaranteed 5 star positive review from all of our clients.